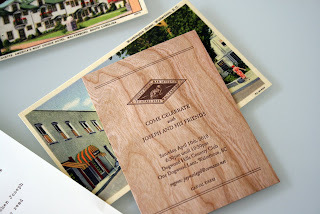 We have recently finished working with Jayne Seigel on her son Joseph's Bar Mitzvah invitation. When Jayne first came to us, she shared a wonderful story of heritage, family history, and Joseph's close relationship with the family dog. 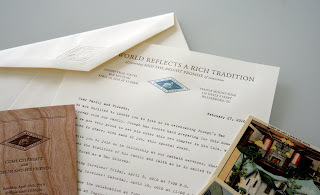 Wanting to reflect the rich history of their family, we created a Seigel family letterhead, with a personal typed message from Jayne and her husband. 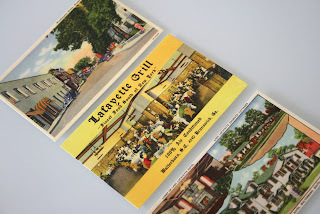 We used vintage postcards from significant family locations as RSVP and accommodations cards. 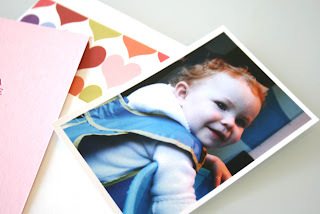 We really had fun working on this set and getting to know Jayne and her family throughout the process. 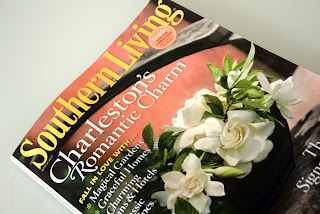 This months issue of Southern Living is packed full of Charleston charm. We're so thrilled to be part of the issue (page 18!) 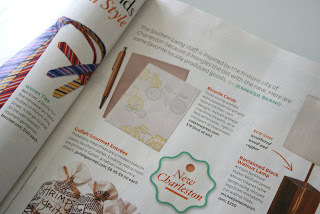 and congratulations to all of our fellow Charlestonians who were featured! 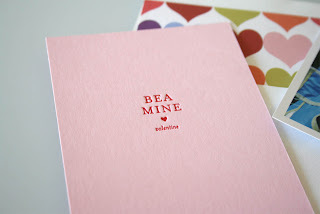 A sweet little valentine from Sally Beatrice. 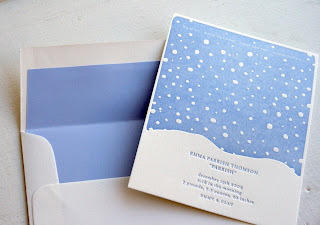 We just finished this baby announcement for Emma. She was born in the middle of a huge snow storm this winter and we couldn't think of a more appropriate way to help her parents announce her arrival. 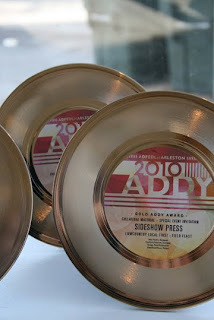 Sideshow Press was honored to have taken home more Addy's this year. The event was this past weekend, we had a blast looking at all the great work in Charleston, and being included among those who were recognized. Congratulations to our award winning clients: Lowcountry Field Feast, Renee LaBelle, Elizabeth Krans, and Jan and Larry Lipov! Labels: ADDY, Advertising Federation of Charleston, Sideshow Press. 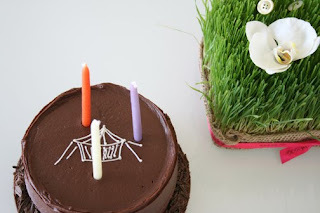 We celebrated one of the three Sideshow Press-ladies birthday last week. Sugar Bake Shop from up the street, made the most adorable Sideshow Press Chocolate Cake. Happy Birthday Virginia!